Israel’s Salem military court on Tuesday sentenced three Palestinian detainees to prison-terms. 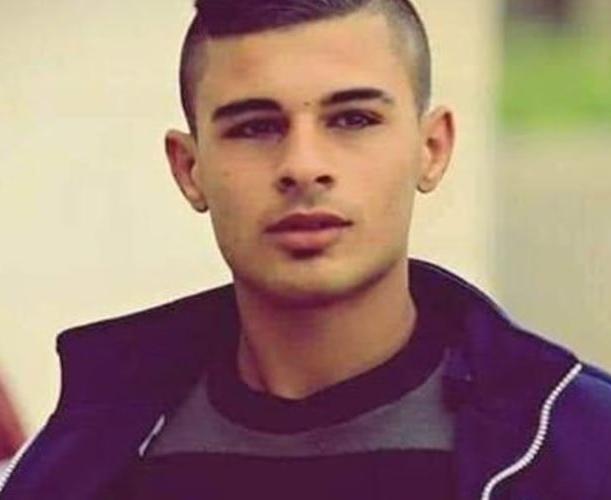 Palestinian prisoner Assid Mahmoud Saleh, aged 18, was kidnapped by the occupation forces on June 23, 2018 and sentenced to 16 months and a fine of 4,000 shekels over allegations of involvement in anti-occupation activities. 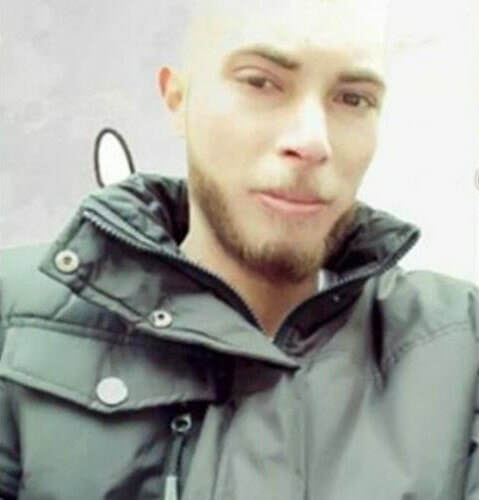 Prisoner Mujahed Abdul Rahman Khalouf, 21, was arrested by Israeli forces on September 4, 2018 and sentenced to 15 months and 2,000 shekels over charges of involvement in anti-occupation activities. Palestinian prisoner Muhammad Rabay’a, 26, received a six-month sentence and a bail of 2,000 shekels over the same charges. The three prisoners are locked up in the Meggido jail. Israeli suppressive units have stormed Palestinian prison cells in the Hadarim jail and aggressively attacked Palestinian detainees. In a letter leaked from Hadarim jail and released by the Muhjat al-Quds Foundation on Tuesday, Palestinian detainees said Israeli suppressive units have wreaked havoc on prison cells and came down heavily on the detainees. 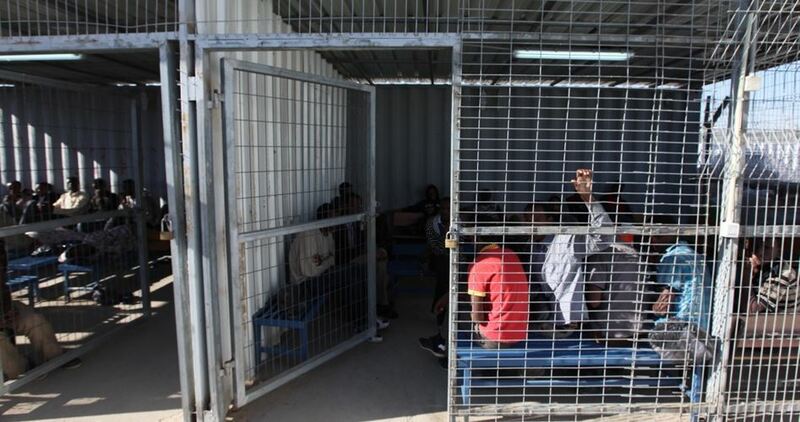 The detainees said such arbitrary crackdowns carried out by the Israeli prison authorities in Hadarim lock-up makes part of an Israeli plan to boost support for the right-wing Israeli government in the upcoming elections. Muhjat al-Quds Foundation warned of the simmering tension that has flared up in Hadarim prison as a result of the mistreatment of prisoners, as has been the case in Ofer jail. The foundation said the Israeli occupation government continues to use Palestinian prisoners as a “political card”, in violation of international laws. Muhjat al-Quds urged the human rights institutions, namely the International Red Cross, and the UN Security Council, to take serious action and pressurize the Israeli occupation to cease its arbitrary crackdowns against Palestinian detainees. Israeli soldiers detained, Tuesday, five Palestinian teachers and one child, in Hebron’s Old city, in the southern part of the occupied West Bank, and held them in Keryat Arba’ illegal colony for several hours. 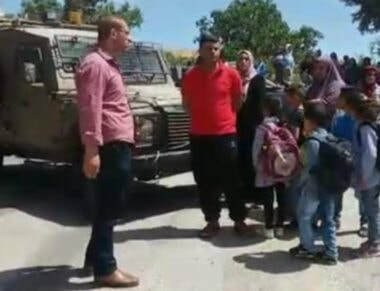 Atef al-Jamal, the head of the Education Ministry in Hebron, said the soldiers detained Sami Zohour, Mohammad Atawna, Hani Sa’ada, Karam Asafra, in addition to Mohammad Awad Zohour and his child, Awad. All of them are from Beit Kahil town, northwest of Hebron, and were on their way to al-Hajiriya School, in the Old City of Hebron. Al-Jamal added that the school was unable to locate the teachers and the student, for more than five hours, before contacting the Palestinian police and the District Coordination Office, and realized that they were abducted by the soldiers and were held in Keryat Arba’ illegal colony, which was built on Palestinian lands, east of Hebron. The five teachers and the child remained in detention for several hours, before the army decided to release them. Israeli forces detained at least 33 Palestinians, including minors and a woman, across the occupied West Bank, on predawn Tuesday. Palestine Prisoner’s Society (PPS) said that Israeli forces detained two Palestinians in the southern West Bank district of Hebron. They were identified as Muataz Abu Jahisha and Mujahed Muhammad Abu Jahisha. In the southern West Bank district of Bethlehem, three Palestinians were detained. They were identified as Muhammad Nasser Ibrahim Deireh, Ibrahim Khaled Deireh, and Fouad Muhammad al-Araj, 16. In the central West Bank district of Jerusalem, PPS confirmed that five Palestinians were detained. They were identified as Hussein Abu Hussein Mushahra, Ahmad Muhammad Mushahra, Daoud Abdo, Muhammad Daoud, and Amar Abdo. 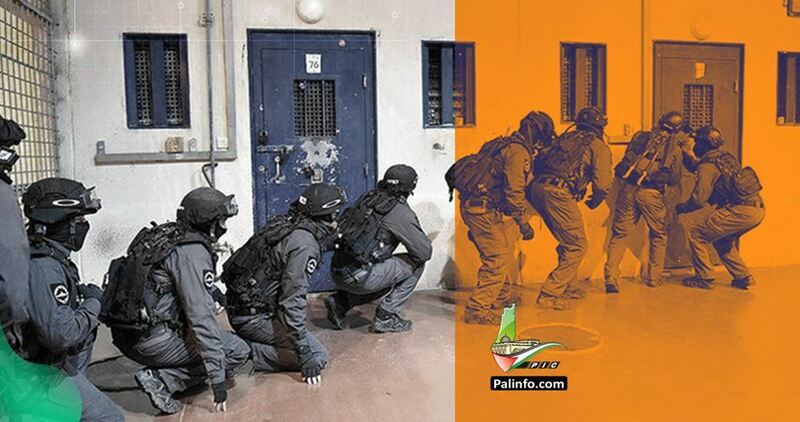 In the central West Bank district of Ramallah, Israeli forces detained a total of 12 Palestinians. 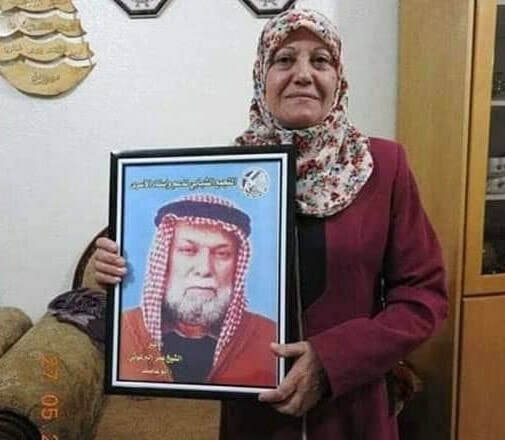 PPS identified them as Sahir al-Barghouthi, the mother of three Palestinian prisoners, Zahi al-Barghouthi, Saher Ismail al-Barghouthi, Yousef Hussam Hanini, Firas al-Sayes, Mutasem Saqef al-Heit, Samer Abed al-Salam, Ahmad Abed al-Hafeth, Ismail Sahil al-Harb, HAmza Awad, and Ihab Ayman Khuwaire, 17. In the northern West Bank district of Nablus, one Palestinian was detained and identified as Amin Farraj. In the northern West bank district of Jenin, another three Palestinians were detained. They were identified as Muhammad Bassam Baajawi, Muhammad Juwabra, and Zayed Ahmad Baajawi. 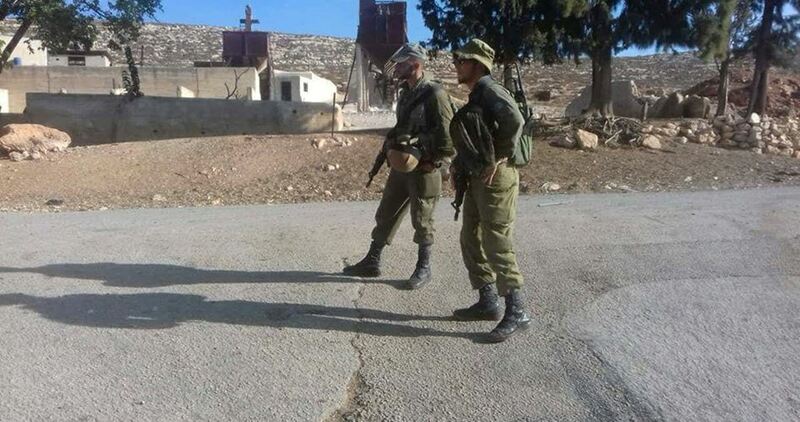 In the northern West Bank district of Tulkarem, four Palestinians were detained. PPS identified them as Adnan Abed al-Rahim Jalad, Ahmad Muhammad Hamdan al-Labdi, Kheirallah Mahmoud al-Shaafi, and Izzat Makawi Shadid. In the northern West Bank district of Tubas, Israeli forces detained three Palestinians. They were identified as Ziyad Abed Muhammad Suwafte and his two sons, Mahmoud and Diab. According to prisoners rights group Addameer, there are 5,450 Palestinian prisoners being held in Israeli prisons, including 53 female prisoners, and 215 minors, 43 of whom under 16 years old. The Israeli occupation forces (IOF) at dawn Tuesday kidnapped 25 Palestinian citizens, including a woman, from different West Bank areas. Local sources told a reporter for the Palestinian Information Center (PIC) that the IOF stormed at dawn Ya’bad town in Jenin and kidnapped four citizens from their homes. The detainees were identified as Mohamed Ba’jawi, Zaid Ba’jawi, Ahmed Ba’jawi and Mohamed Jawabreh. Israeli soldiers also spread around Dothan checkpoint and set up a makeshift checkpoint at the main entrance to Ya’bad, where they intercepted cars for search. In Ramallah, the IOF stormed Kobar town and kidnapped Suhair al-Barghouthi, the mother of martyr Saleh al-Barghouthi, after raiding her home. Suhair al-Barghouthi is the wife of prisoner Omar al-Barghouthi and the mother of prisoners Asef, Asem and Mohamed. Other citizens were also kidnapped during IOF campaigns in Ramallah, Nablus, Bethlehem and al-Khalil. The Israeli occupation authority has extended the administrative detention of Palestinian prisoner Walid Sharaf, from Abu Dis, for another six months despite his worsening health condition. 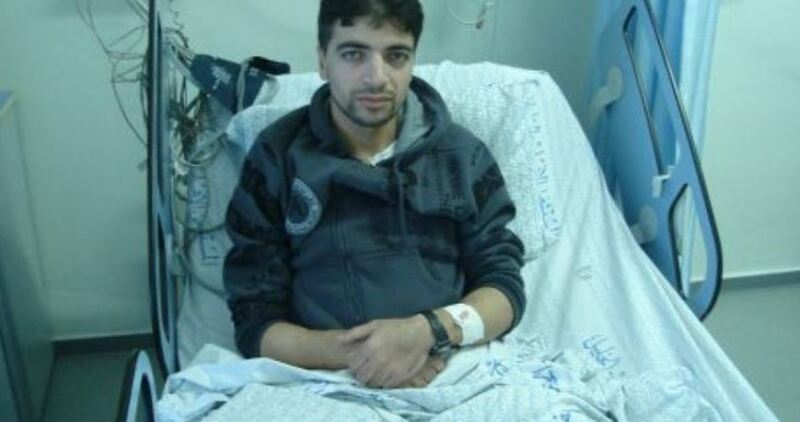 According to the Palestinian Prisoner Society, 25-year-old Sharaf suffers from chronic skin atrophy and other health problems, especially in the kidneys, intestines and liver, which has adversely affected the work of other vital organs in his body. Recently, after he had health complications, Israeli jailers transferred Sharaf to the infirmary of the Ramla jail and later to a civilian hospital. Walid Sharaf, who was arrested on June 10, 2018, had already served a total of five years in Israeli jails, including some time in administrative detention. Israeli soldiers abducted, on Monday evening, a Palestinian child from the al-Walaja village, northwest of Bethlehem, in the occupied West Bank. 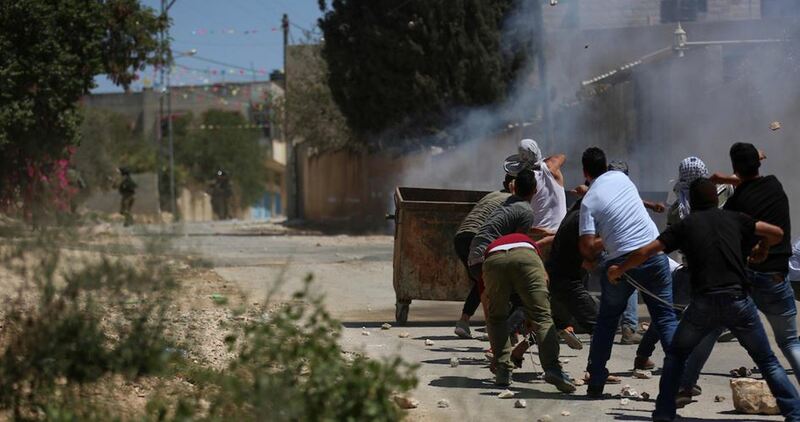 Local nonviolent activist, Ibrahim Awadallah, said the soldiers invaded the village, and abducted Fuad Mohammad al-A’raj, 16, while walking near his home. No protests were reported in the village, and the soldiers handcuffed and blindfolded the abducted Palestinian teen before moving him to the nearby Etzion military base, in the illegal Gush Etzion colony. Also on Monday evening, the soldiers killed one Palestinian teen and injured another, near the entrance of the al-Jalama village, northeast of Jenin in northern West Bank. The army claimed that Palestinians were riding a motor cycle and “hurled an explosive at the soldiers,” and did not report any injuries among them. The allegation was denied by the Palestinians who said the two were just returning home from work. Mahmoud Sa’adi, the director of the Emergency Department of the Palestinian Red Crescent in Jenin, said the slain Palestinian has been identified as Abdullah Faisal Omar Tawalba, 19, from the al-Jalama village, and added that Omar Ahmad Hanana, 15, was injured but is in a stable condition. Israeli soldiers killed, on Monday evening, one Palestinian teen and injured another, near the entrance of the al-Jalama village, northeast of Jenin in northern West Bank. The army claimed that Palestinians were riding a motor cycle and “hurled an explosive at the soldiers,” and did not report any injuries. Palestinian medical sources said the medics moved the slain Palestinian, and the wounded teen, to Jenin Governmental Hospital. They added that Tawalba was shot with several live rounds in the head and legs. Eyewitnesses said the two were riding a motorcycle near the village, when the soldiers opened fire at them, and denied the Israeli military allegation, stating that the army will say anything to justify murdering Palestinians. They added that the two Palestinians were riding their motorcycle back home, in al-Jalama and ‘Arrana villages near Jenin, while returning from work. It is worth mentioning that the army holds the corpses of slain Palestinians suspected of attacking soldiers or colonialist settlers but did not hold Tawalba’s body, and local medics moved his corpse to Jenin Governmental Hospital. Osama al-Qawasmi, a member of the Revolutionary Council of Fateh Movement and its spokesperson in Jenin, called on media outlets not to be mislead by statements made by the Israeli army and media outlets that have the only aim of justifying crimes committed by the soldiers against unarmed Palestinian civilians. “It seems that every time Israel approaches election, the crimes against the Palestinians, their homes and lands increase,” he added. On Sunday, a Palestinian man, identified as Ahmad Ghazi Abu Jabal, 30, died of critical wounds he sustained last week, after being shot by Israeli forces offshore the town of Beit Lahia, north of Gaza. 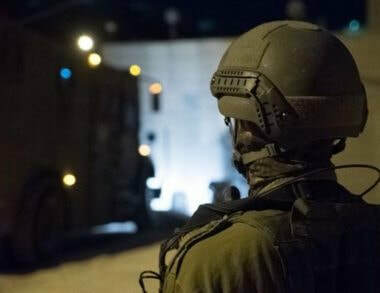 Israeli soldiers abducted, on Monday at dawn, at least seventeen Palestinians from their homes, in several parts of the occupied West Bank, the Palestinian Prisoners’ Society (PPS) has reported. The PPS said the soldiers invaded and violently searched many homes across the West Bank, and interrogated scores of Palestinians while inspecting their ID cards. The soldiers also installed many roadblocks in several parts of the West Bank, especially in Ramallah governorate, in central West Bank, and in Hebron, in southern West Bank. The soldiers stopped and searched dozens of cars, and interrogated scores of Palestinians while inspecting their ID cards. The soldiers also invaded the family home of a slain teenage girl, identified as Samah Mubarak, 16, in Qaddoura refugee camp, in Ramallah, and violently searched it, in addition to storming the home of Yahia Rabea’, the head of the Students’ Senate at Birzeit University. 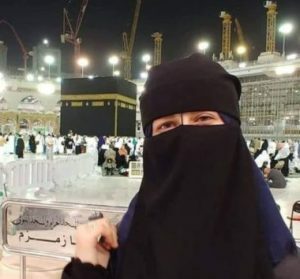 It is worth mentioning that Samah, was shot and killed by Israeli soldiers at the Zaim military roadblock, east of occupied Jerusalem, after she refused to remove her face covering. Samah was left bleeding on the ground and died from her wounds. She was from Nusseirat in Gaza, but her family moved to Umm ash-Sharayet neighborhood in the central West Bank city of Ramallah and was an eleven-grade school student. Awwad Samir Abu Awwad, Qaddoura refugee camp – Ramallah. Ahmad Jom’a Awwad, Qaddoura refugee camp – Ramallah. Ibrahim Mohammad Barghouthi, ‘Aboud – Ramallah. Odai Omar Hamed, Silwad – Ramallah. Mahmoud Omar Ezzat, Silwad – Ramallah. Emad Mousa Hamed, Silwad – Ramallah. Mahmoud Samer Jabarin, Jenin refugee camp – Jenin. Mo’men Mustafa Abu Jilda, Jenin refugee camp – Jenin. Mohammad Naseef Ghawadra, (former political prisoner), Jenin. Mohammad Mansour Hussein, 21, Tulkarem. Monther Mohammad ‘Ashour, 34, Tulkarem. Bilal Mohammad Sheikh Abed, 25, Tulkarem. Monther Abu Mimed, Beit Ta’mar – Bethlehem. Miqdad Qawasmi, (former political prisoner,) Hebron. The Israeli police on Monday morning injured a Palestinian man and arrested two children during a raid on Abu Dis town in Occupied Jerusalem. Local sources said that violent confrontations broke out between Palestinian youths and Israeli police forces as the latter deployed around al-Quds University. The Israeli police raided a nearby school and heavily fired tear gas bombs and stun grenades, they added. The Palestinian Red Crescent Society said that a Palestinian young man fainted as a result of inhaling tear gas and was treated in the field. According to the Palestinian Liaison, the Israeli police withdrew from the town after kidnapping two children identified as Izz el-Din Mohsen and Sami Jaffal. Both are aged 15. 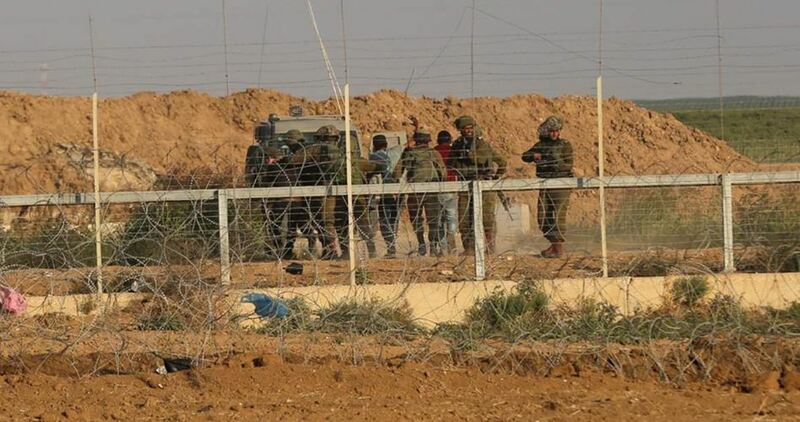 The Israeli army on Monday morning arrested a Palestinian youth near Gaza’s border fence over allegations that he attempted to creep into Israeli-occupied territories. The Hebrew-speaking 0404 news site quoted the military spokesman as stating that the youth was rounded up by soldiers after he infiltrated the border fence, attempting to reach territories occupied in 1948. The Israeli army claimed the arrestee was holding a knife. He was dragged to an Israeli detention center for interrogation. On Sunday, five Palestinian young men were kidnapped by the Israeli military near Gaza’s southern borders. 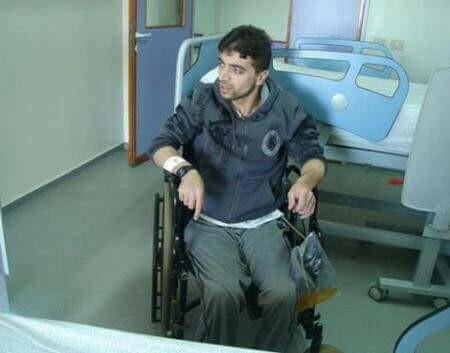 The Palestinian Prisoner Center for Studies (PPCS) has appealed to human rights groups and the Red Cross to pressure the Israeli authorities to release prisoner Mu’taz Abido, who suffers from physical paralysis. According to the Center, an Israeli judge recommended a few days ago the release of Abido due to his health condition, but an Israeli security apparatus decided to extend his administrative detention for another four months. Abido, who had spent a total of nine years in Israeli jails, suffers from serious paralysis after he was injured by an Israeli explosive bullet in his pelvis and abdomen when he was detained in 2011. The Israeli occupation authorities on Sunday decided to extend the administrative detention of a Palestinian prisoner with special needs only one day before his scheduled release. The Palestinian Prisoner Society said that the Israeli authorities decided to renew the detention of Mutaz Abido, 38, for four months. Abido's health condition is worsening in Israeli jails due to a serious injury he has been suffering from since he was shot by the Israeli occupation forces during his arrest in 2011, it added. The injury has caused severe damages to the intestines and nervous system, as well as paralysis of the left leg and other problems in the right one. Abido in 2011 was sentenced to three years in prison which he spent at Ramla prison clinic. The Palestinian Prisoner Society said that the Israeli authorities are holding Abido without charge or trial under harsh conditions. Abido has lost control of his limbs. He is denied treatment and only given painkillers. Abido had spent nearly 8 years in Israeli jails. Re-arrested in February 2018, he is currently detained at Negev jail. Israel is holding over 6,000 Palestinians in its jails, including 250 children, 54 girls and women, 8 MPs, 27 journalists, 450 administrative detainees, and 750 sick prisoners, 200 of whom are in need of urgent treatment. The Israeli occupation forces on Sunday arrested a Palestinian with special needs after assaulting him in Nahalin town in Bethlehem. Deputy mayor of Nahalin Hani Fannoun said that the Israeli forces violently beat Ibrahim Fannoun, 46, an amputee, while he was trying to help a Palestinian youth detained by Israeli soldiers, and arrested him. Meanwhile, the Israeli occupation forces stormed Khirbet Umm al-Jemal in the northern Jordan Valley and kidnapped the Palestinian citizen Izz Ka'abneh. According to activist Mutaz Bsharat, the Israeli forces earlier in the day raided different areas in the Jordan Valley and ordered about 50 Palestinian families to evacuate their homes on 6 and 12 February to make way for military drills.